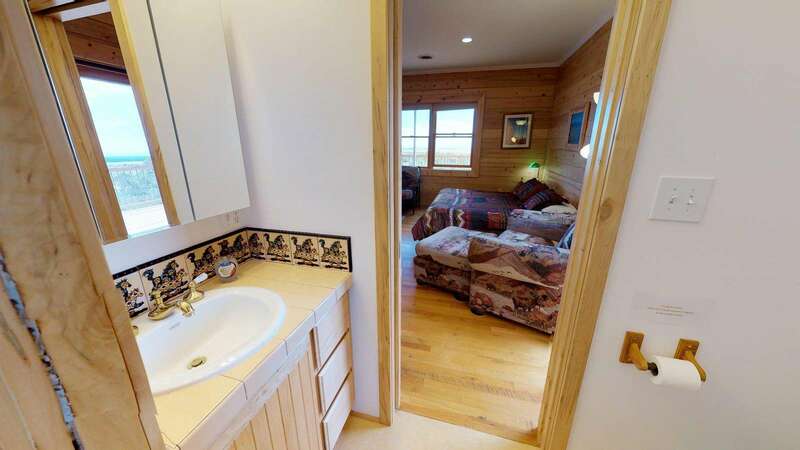 Mustang Mesa Cabin, Luxurious, Western, featuring a full wrap around 12 foot deck, oversized bathtub, dual head shower, TV, DVD, WIFI, picnic tables, fully furnished kitchen, dining room, all linens provided, washer & dryer! 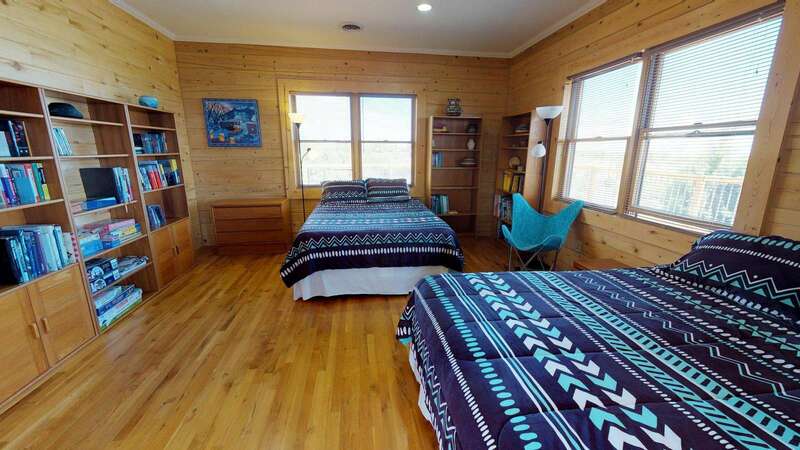 The Mustang Mesa Cabin is truly one of our most luxurious accommodations, featuring a wrap-around deck, oversized bathtub, dual head shower, TV, DVD, WIFI, picnic tables, fully furnished kitchen, dining room table, all linens, washer & dryer! Sleeps up to 10 people. 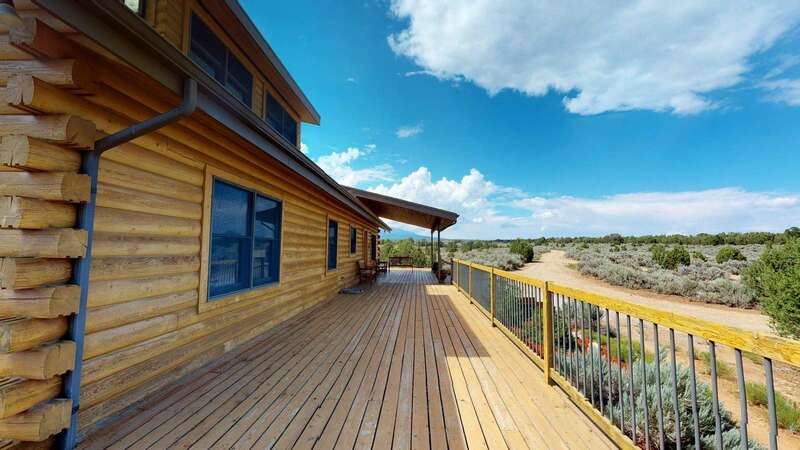 A one-of-a-kind vacation home, set all alone on Mustang Mesa with a 360-degree view in all directions as far as the eye can see, Colorado, New Mexico, Arizona and Utah! Absolutely amazing night sky viewing! Relax on the large, wrap-a-round deck in the sun, shade or under a million stars. 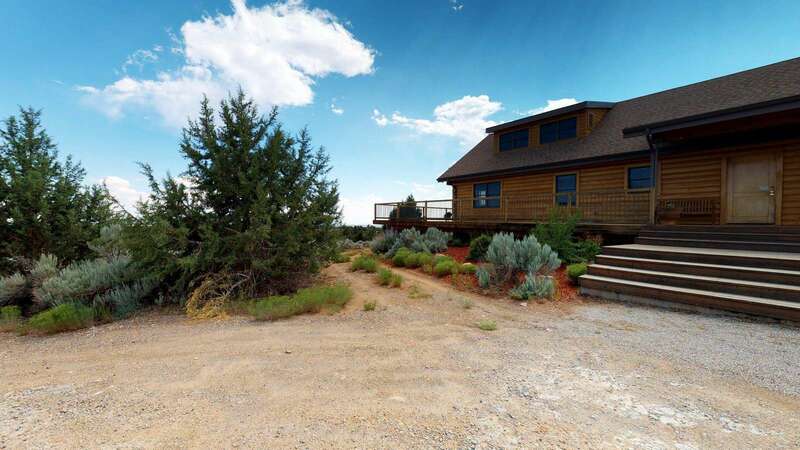 The Mustang Mesa Cabin has a way of making you feel extremely secluded, while just two miles away lies the most popular lake in San Juan County - great for swimming, fishing, boating and water sports! 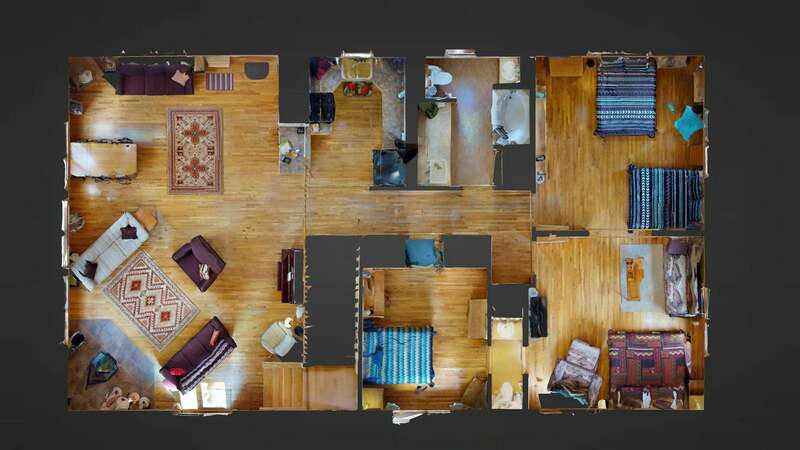 Inside, you'll find much more space than you anticipated - with stunning vaulted ceilings, 3 bedrooms, 1 1/2 baths, full kitchen, fireplace, very spacious living room, and cozy sofas! (Main level only - upstairs and downstairs are not accessible). 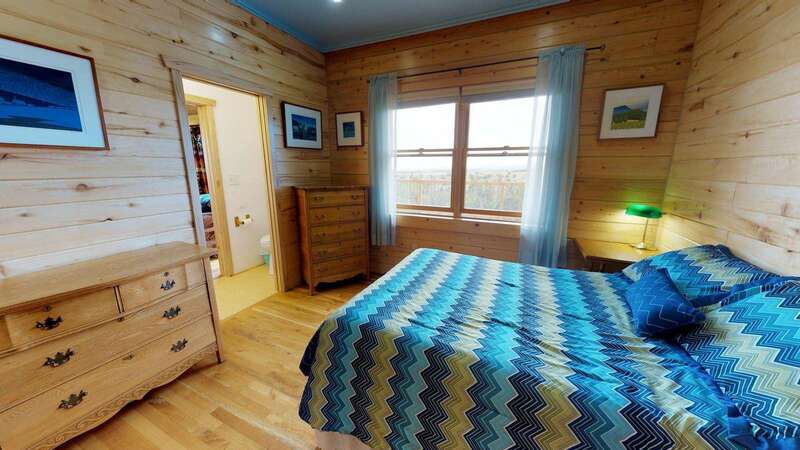 Bedroom 1 has a King bed and an additional queen Futon, plus sliding door access directly onto the deck, amazing views! Bedroom 2 has a full bed. Bedrooms 1 & 3 can be joined by opening the double sliders between them. Pack-n-Play available upon request. WIFI, Satellite TV and DVD are provided at no additional cost - that is of course if you ever get bored enough to use them. 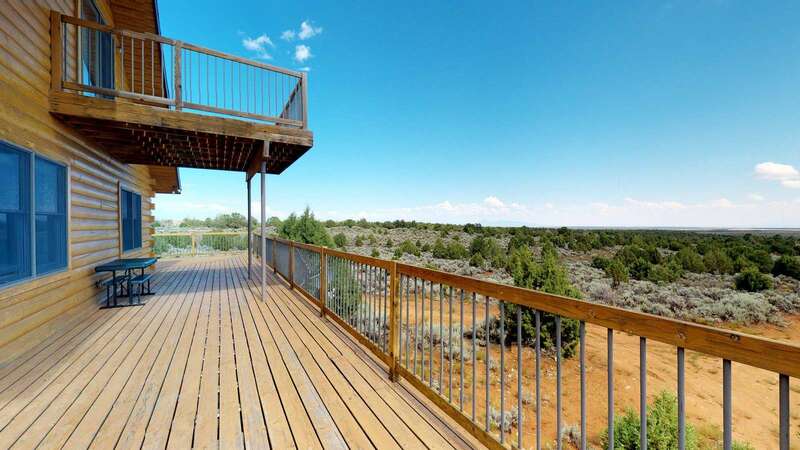 Our guess is, you'll be far too busy exploring all the popular national and state parks and monuments in southeast Utah - that's right, the Mustang Mesa Cabin is located centrally among more than a dozen of them! Please Note: Throughout the summer months the owner periodically stays on the property in her private basement apartment. When the owner is present they are willing to answer any questions and help plan activities in the area. This property has 1 King(s), 2 Queen(s), 1 Full(s), 1 Futon(s). The house is beautiful and very spacious , the view is gorgeous! You feel like in absolute wilderness, no houses around you can see. Sunrise and sunsets are amazing! But if you like to drink a glass of wine while the sun is going down you have to bring it with you because Blanding is a dry town, no beer no wine... also in the restaurants. But the host left a bottle of rose wine in the fridge ! We come back, that’s for sure ! It was amazing!! We loved the house. It was secluded and quiet but still only three miles from the local town. We also loved our ability to use it as our base camp for day trips to local national parks and outdoor activities. Highly recommend to anyone who wants a real chance to get away from it all. 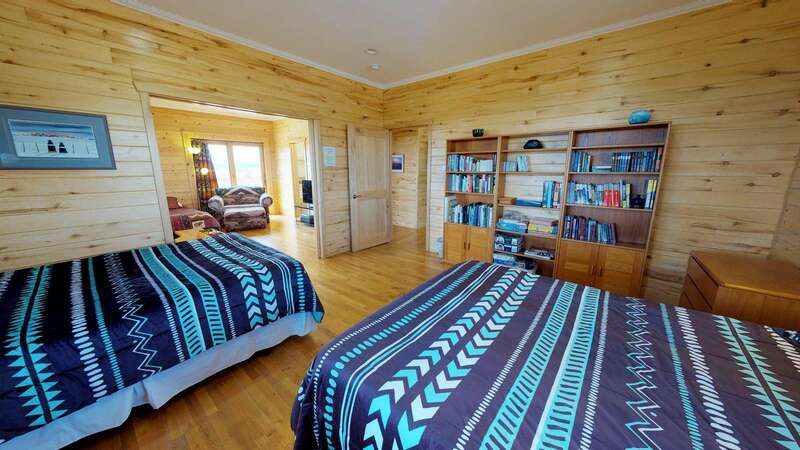 If you're traveling in Southeast Utah this home is a great alternative to hotels in the area. 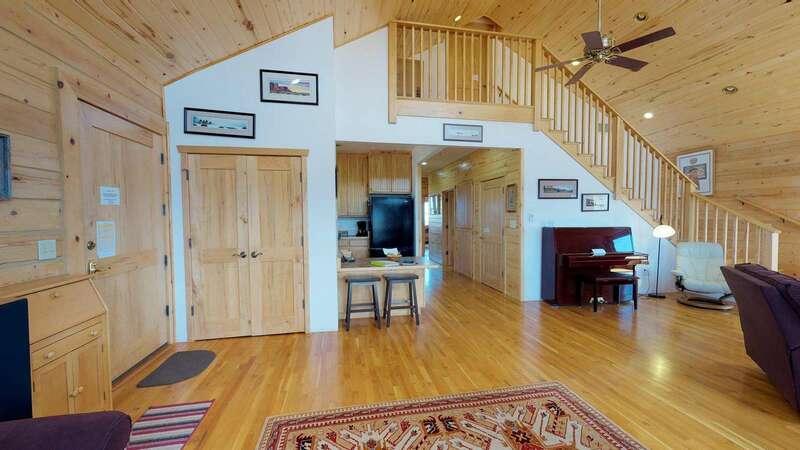 Its a lovely log cabin remotely located off the main highway, you literally cannot see another home around you when standing on the huge wraparound porch. The house was spacious and very comfortable, plenty large for our family of 4. 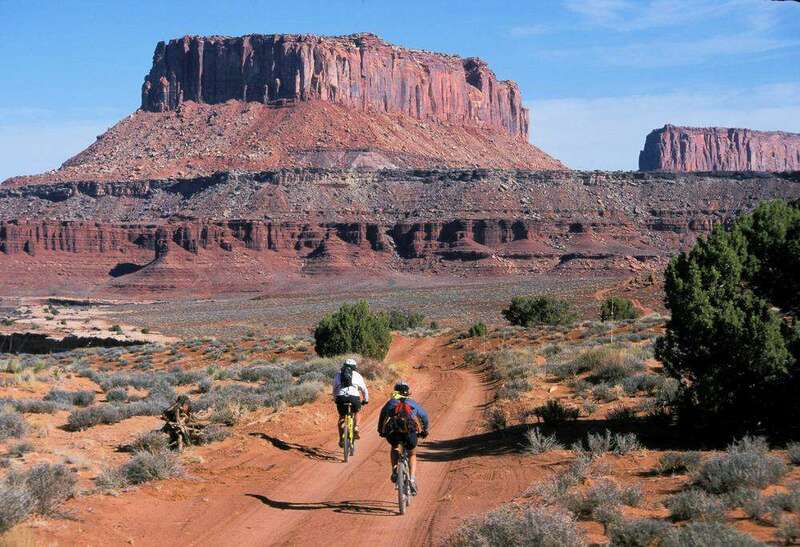 It is a great location if you're visiting Monument Valley, Valley of the Gods, Canyonlands National Park and several other state parks. The house runs on solar so note that you need to carefully follow the rules regarding use of appliances, lights and AC (and they operate no differently). Perfection! 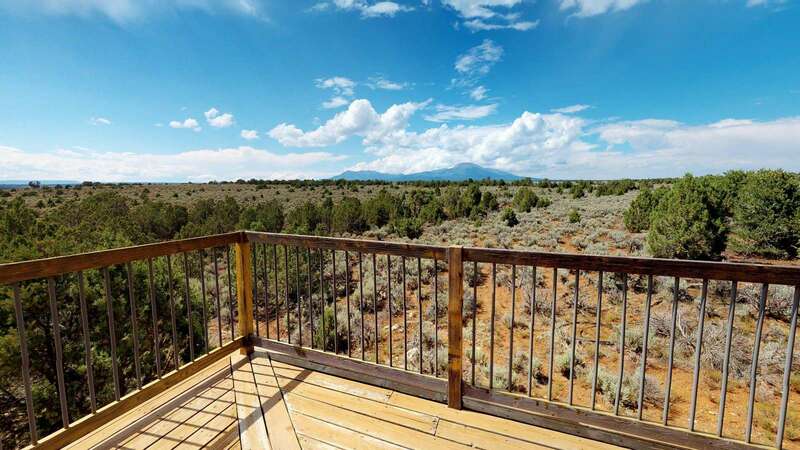 When you retreat to this great home you'll relax and enjoy amazing views from your private deck east to Mesa Verde and west to the Henry Mountains. 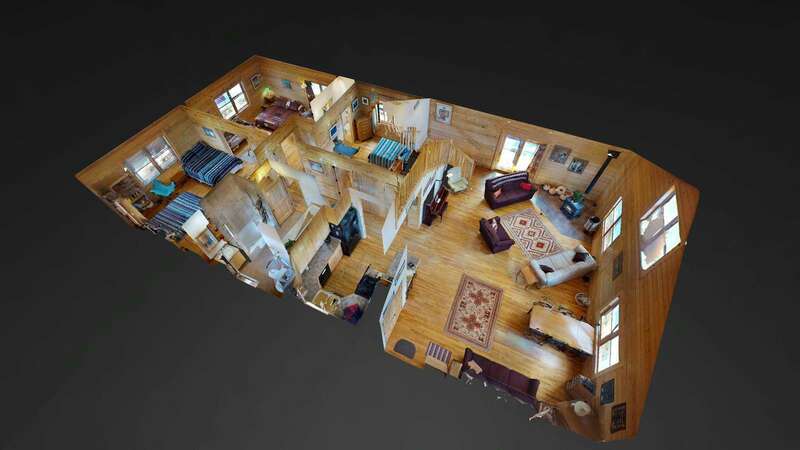 The floor plan is spacious and attractive. We easily explored the Bears Ears area from Valley of the Gods to Natural Bridges and took in a day of golf at nearby Monticello. We'd love to visit again! The property was fabulous. We had a great experience, but the best were the stunning sunsets. From the moment we arrived until we left, Mustang Mesa was such a wonderful experience. The owner was very helpful and gave us a warm welcome. The location was perfect for our adventures. Can't wait to come back. We had the best time ever at this cabin. It was really nice and the location was perfect to attend so many national parks for our kids. I just wish it had a grill outside to do some grilling and that is my only complaint. It was so beautiful there and peaceful. The stars were amazing and the views were breathtaking. This was an excellent place for us. The first thing we noticed upon arrival was the quiet. We also used the note book with suggestions of sights to see and hikes to take, and the house was centrally located to all the great places we visited. Thank you so much. 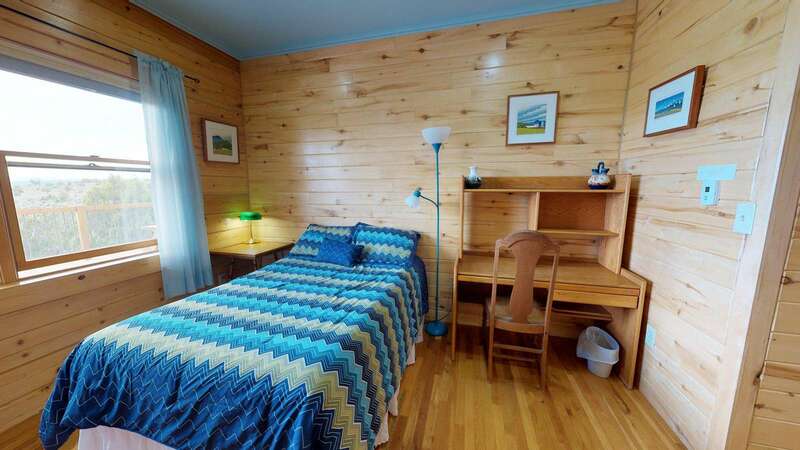 We totally enjoyed this lovely cabin, and can see ourselves returning in warmer weather. We visited in April, and it was a bit cool to be out on the beautiful wrap-around deck! (Next time!) It is beautifully furnished and quite comfortable. 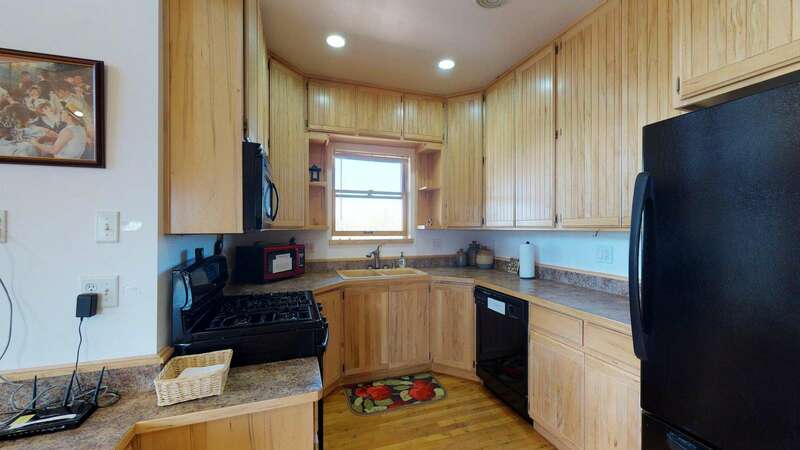 The kitchen is small, but has everything you could possible want, and functions beautifully. I recommend this property highly! My wife and I stayed at Mustang Mesa for three nights in late April - a very comfortable 3-bedroom cabin in a beautiful setting just outside Blanding, Utah. 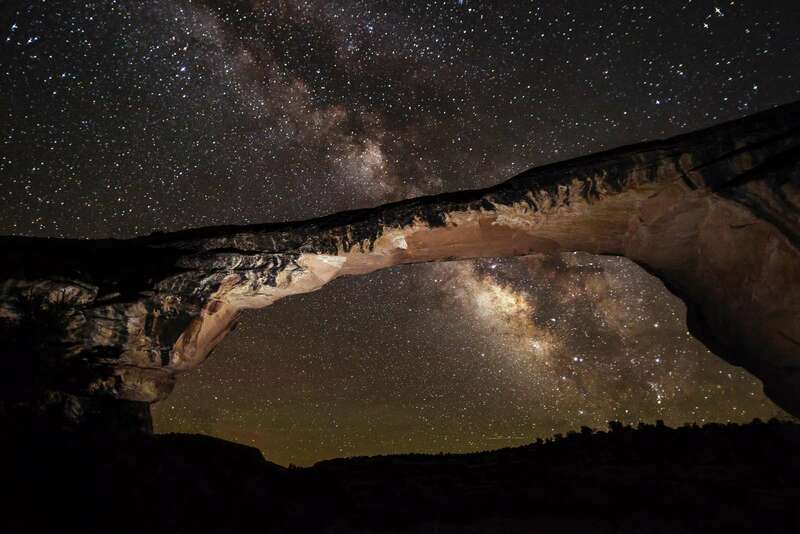 The location is excellent for day-tripping in any direction, or to just hang out and enjoy quiet solitude, wide vistas and brilliant night skies. 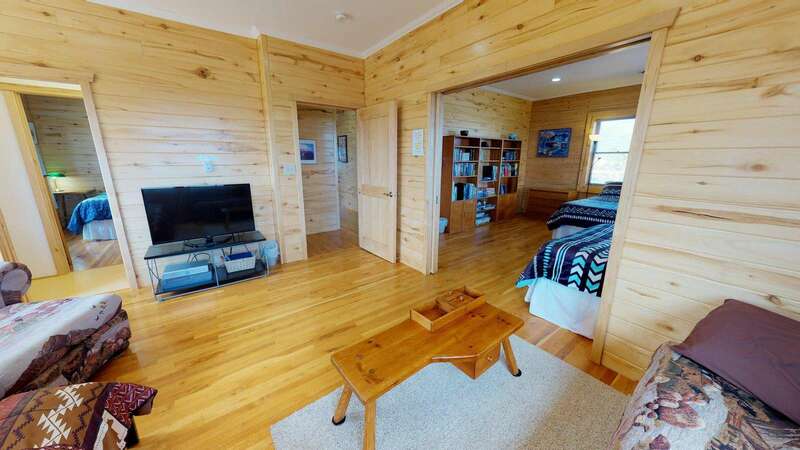 The cabin is well-appointed with great passive solar design and an in-floor heating system, wrap-around deck, beautiful great room, and a well-provisioned kitchen. It's also off-grid, with a solar array and propane generator tucked away down the hill, a feature we appreciated. If the generator ever came on during our stay (doubtful), we never heard it. When we return again to Southeast Utah, this property will be the yardstick we use to evaluate alternatives - a highly recommended choice! 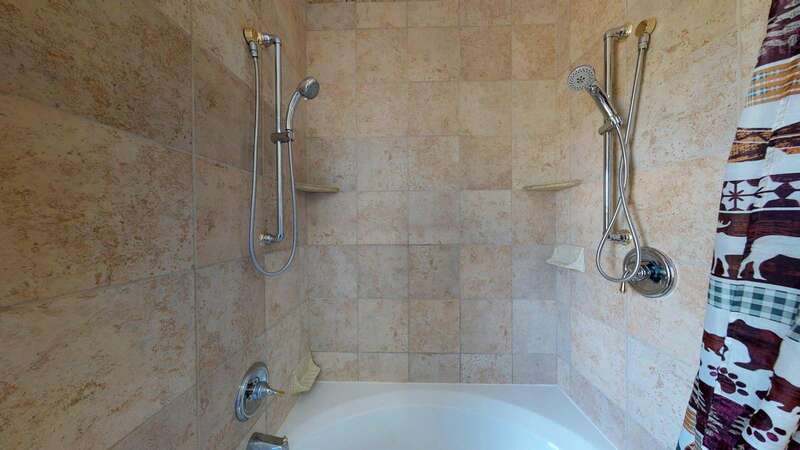 Very private-great property! Excellent communication-easy directions. Large gathering space-well stocked kitchen. The deck is absolutely huge-nice star gazing. Well maintained property. We loved our stay at the Mustang Mesa cabin! Sparkling clean, stunning setting in the desert with views for what seems hundreds of miles, comfortable beds and beautifully furnished. The kitchen has everything you could possibly need. Host was very responsive. I hope to stay here again! This is THE nicest VRBO place in which we have ever stayed! 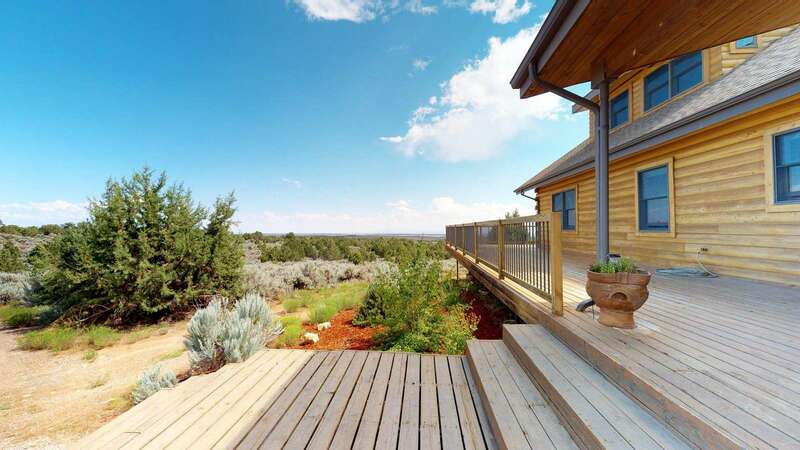 There are unbelievable views in all directions; the house is airy and the highest quality. The photos do not do it justice----unlike many places in which photos exaggerate the beauty. Linda is a gracious host. We will be coming back to the mustang mesa cabin. We stayed at the Mustang Mesa. 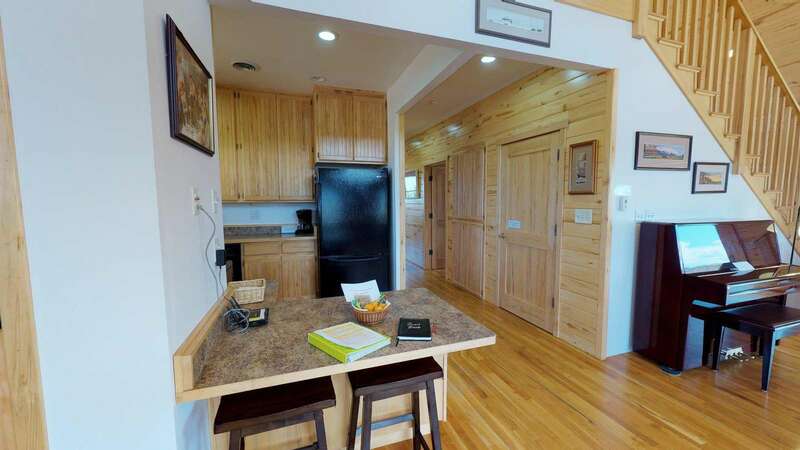 On a positive note the cabin beautiful just as the pictures show on the web! It was also clean and very secluded. On a negative note the owner stayed in the basement while we lived on the main floor. The main reason we picked it was because it was secluded and we expected to be alone. The owner did stop by the first night we were there and say that she would be working on the property the first night we arrived. We had no idea she would be living there and would be there the whole time. It was just really creepy knowing someone else was there on the floor below us and had access to where we were. She mainly kept quiet although one day when we came back I could hear her talking on the phone and it really startled me as it sounded like someone was in the main part of the cabin. We did call and complain and they gave us a $18.31 refund per day. We felt like we should have received more of a refund, but that was better than nothing. If you choose to stay there and want to be alone, I would definitely recommend asking if the owner will be staying in the basement! Overall we were very disappointed because of that. Response: We're happy that you enjoyed the home! Sometimes a property owner will stay briefly at a property in order to perform maintenance, although most are very quiet and courteous to their guests, and try not to impose on privacy. Your experience was a rare case. We receive far more guest comments saying they wish they had seen more of their hosts during their stay, than we do comments suggesting they were left alone. 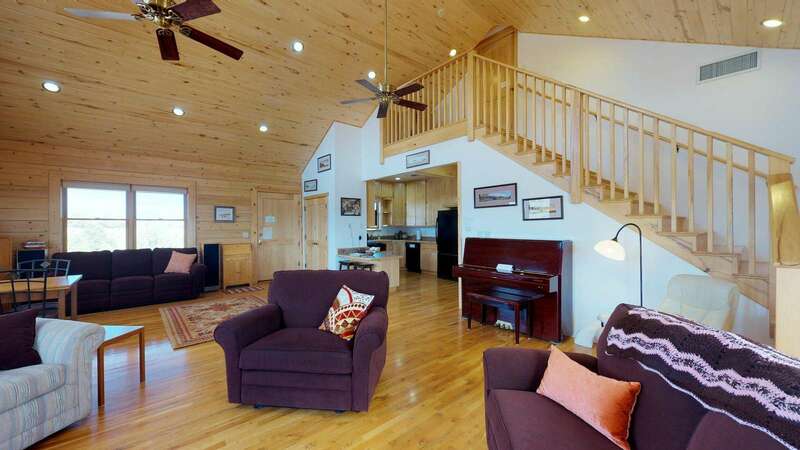 We hope to have you back again at another vacation home by Canyonlands Lodging. This place is amazing! 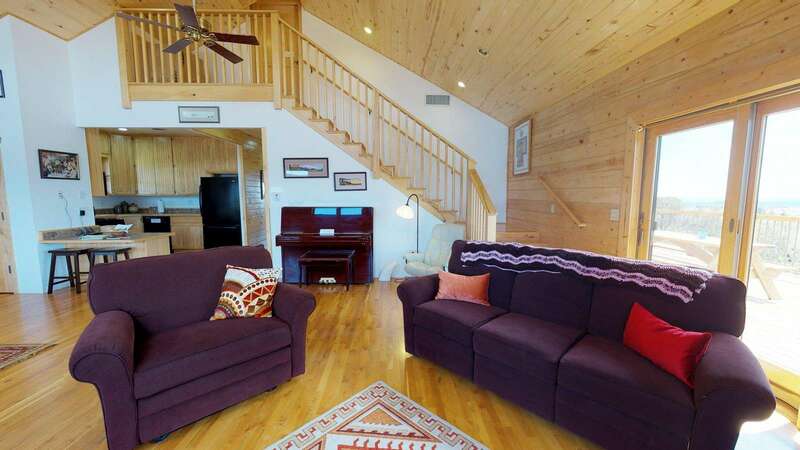 Great views, beautiful sunsets and very secluded (but not too far away from town). The house is accommodating and clean. A lamp over the dining table would be a nice addition. Linda, the owner, is very nice and welcoming. We definitely plan to come back next year! Our family of four loved our stay here. The house is secluded and beautiful, with amazing views. 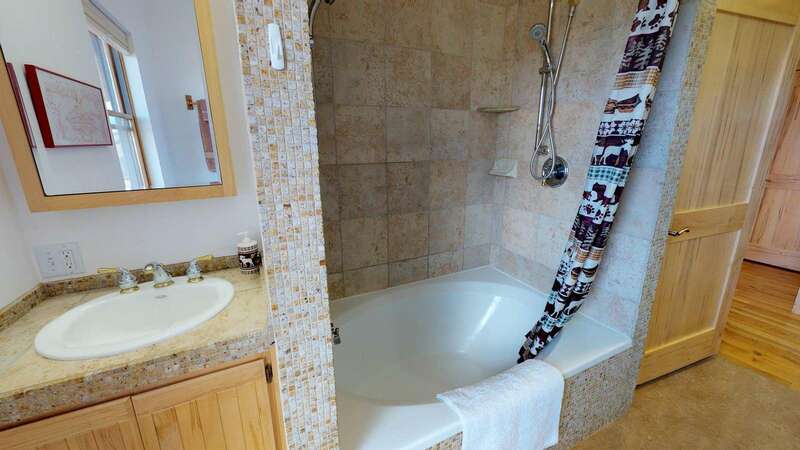 The house has everything you could need for a very comfortable, relaxing stay. During our stay we visited Canyonlands Natl Park, Moab, Arches Natl Park, Mesa Verde, 4 Corners, and Goose Neck State Park - all 1 to 1 1/2 hour drives. The house is really amazing - the pictures don't do the views justice! Beautiful house in an amazing location. 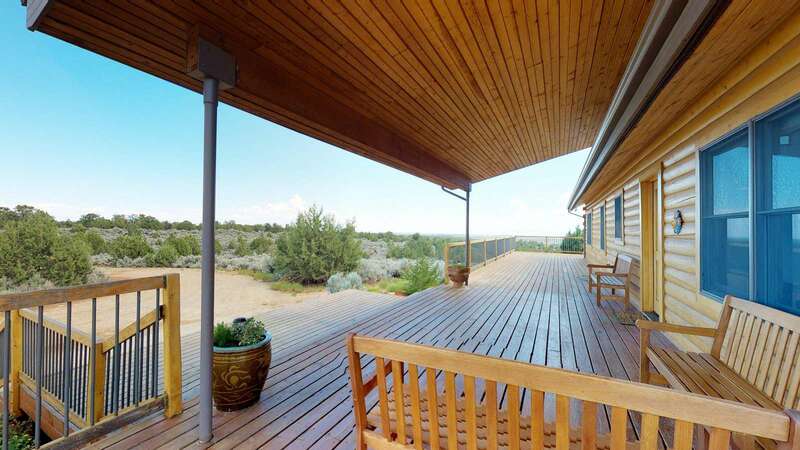 Wrap around deck provides endless views in all directions. House is completely by itself for complete privacy. 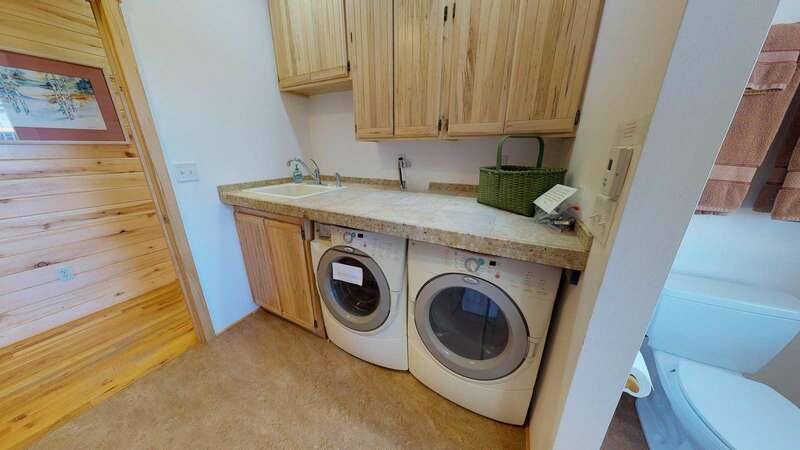 Nice bedrooms (three total -- with sliding wooden doors separating two), full kitchen, huge living room with high ceilings, two bathrooms, one of which is huge with full laundry, lots of windows. The house is also "off the grid" so energy consumption must be watched carefully, though we never had any problems. I was traveling with a large group. The place was quiet and secluded but with all the amenities we needed. It was all that we expected and easy to get to, check-in, and get on our way when we were done! Mustang Mesa cabin was just beautiful. It was centrally located for all our areas of interest. We had 4 in our group and everything worked out great with the exception of the internet. It was on or off for a couple days. Vital when you are trying to make accommodations for activities. Other than that the place is simply perfect. We thoroughly enjoyed our time spent at the Mustang Mesa cabin outside Blanding. We used it for a base camp to explore SE Utah and SW Colorado, returning each evening to find a space of tranquil beauty. What was even better was knowing that we were using solar power for our cabin needs, keeping that nighttime sky just as dark as possible for stargazing. We will be back! We very much enjoyed our stay at Mustang Mesa. 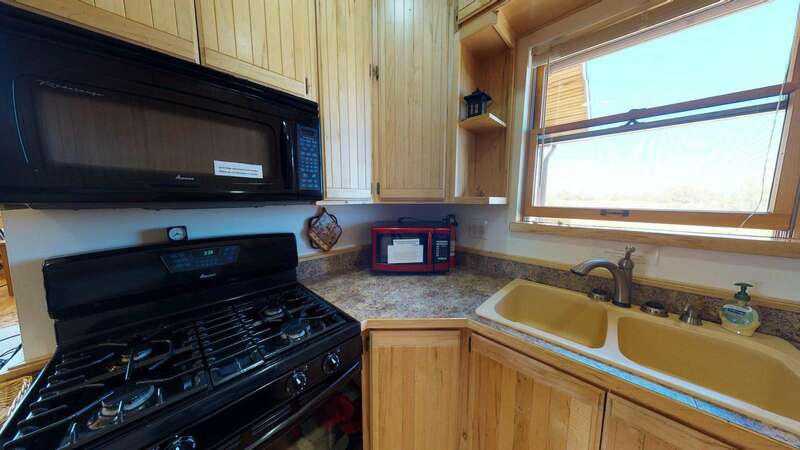 The place is comfortable, beautiful and had all the amenities needed to cook. The furniture was comfortable and there was good lighting for reading. . The views are incredible and the wrap around deck was wonderful. We are on a 3 week road trip, and this was one of our very favorite places! Thank you. The cabin/house is lovely and very remote - if you prefer being away from it all. We stayed there ten nights. The house was well stocked, clean, and inviting. I would stay there again and recommend it to friends. One thing to keep in mind: it is remote and far from the national parks and other sites -except Blanding, which is only a few miles away. (The visitor center and dinosaur museum in Blanding are both excellent.) From the cabin we drove to Canyonlands, Monument Valley, Valley of the Gods, Mesa Verde, Arches. It was so much better than staying in a hotel in town, and I Highly recommend it. The Mustang Mesa cabin was much more than we expected. It was the perfect size and setting. The 12 foot wrap around deck surrounding the cabin was amazing to watch the sun, stars and moon from. The cabin is gorgeous and well built. Thank you for sharing it with us. Response: This cabin is located near some of the top 15 star gazing places in the world. Thanks for being here. 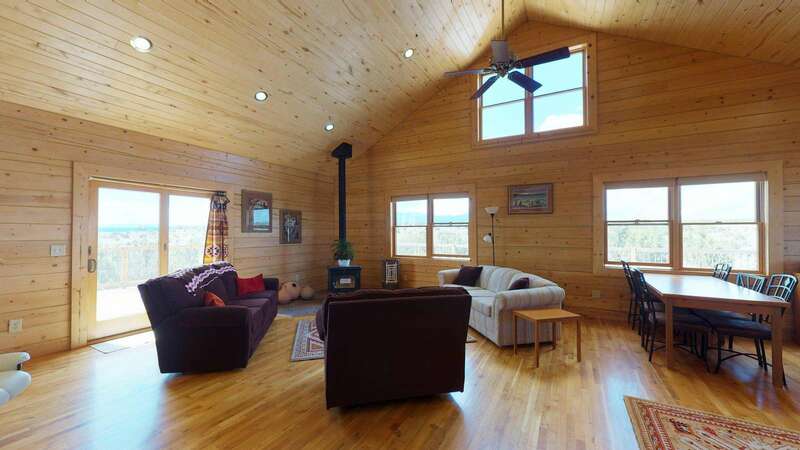 Beautiful & spacious cabin! Very clean,it had everything we needed. The views & sunrises were amazing! Thank you for a wonderful stay! Response: Yes, the sunrises and sunsets are amazing, and the star gazing is out of this world! Hope to see you again. 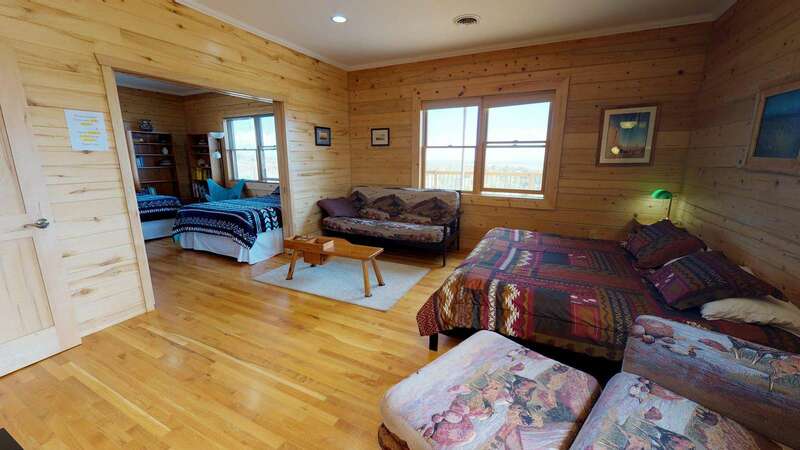 We have stayed at many of the Canyonlands lodging cabins. Always very happy with all of them. Our most recent stay was at the Mustang Mesa Cabin. So remote, so quiet, so beautiful. All Solar powered. This is an extremely well built, upper end home, not a cabin. We can't wait to come back. We hunt, fish, and golf in the area. Jerry and Tina have always been so helpful. Thanks for all the great choices. See ya again soon. I wish there was a "+" on the rating because I would certainly give our stay a 5+ rating. The Mustang Mesa Cabin was more than we ever expected and Jerry and Tina were excellent hosts and most responsive to our questions. We appreciated their assistance in planning day trips so we wouldn't miss anything. 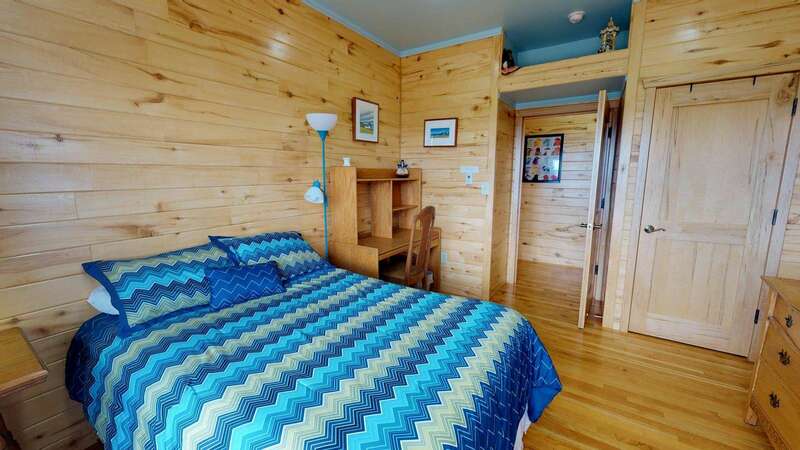 The cabin was very roomy and clean, the kitchen was completely equipped, the bathroom towels were thick and plentiful, and furniture was comfortable, and there was plenty of room. The view from every direction was beautiful. Yes, some of the sites are a bit of a drive, but we knew that and actually found the location to be perfect for us because it was fairly centrally located for the sites we were visiting. I highly encourage anyone who is planning to spend time in this area to stay at one of these cabins. We had a Great Night in Mustang Mesa. Everything is fine. I Hope we will be back soon.